Prof. Antonio Rumenovic, born on 30th May 1983 in Varaždin, Croatia, now also working in Varaždin and Zagreb, Croatia. He finished Elementary music school and High music school in Varazdin, in class of prof. Moreno Vincekovic. In 2001, he enrolled into Music academy „Ino Mirkovic“ Lovran, Croatia, in class of prof. Carlo Marchione and assistant Neno Munitic. Graduated 2005 in University of Zagreb at Academy of Music, in class of prof. Istvan Romer. In 2006 he enrolls to Postgraduate study and Masters degree study in Hogeschool vor Musik at Conservatorium Maastricht, Netherland and gets Masters degree in June 2008, in class of prof. Carlo Marchione. As a student, he received greatest honor at guitarist competition „Ivan Padovec“ in Zagreb, 2005 where he received an invitation to be the guest of honor by Miroslav Miletic, most famous Croatian composer, at final concert of event The Music Days of Miroslav Miletic in Sisak, Croatia. As a musician, he performed around Croatia and Europe - Netherland, Italy, Austria, Hungary, Serbia, Slovenia, Macedonia. Since 2011, he is an active member of chamber ensemble „Laurum“. After graduation in 2005 starts working in Art school „Fortunat Pintaric“ in Koprivnica, Croatia, where he worked until 2019. With his great love to guitar, classical music and teaching he achieved many notable successes with his students: they compete on almost every competition in Europe and continuously accomplish high rankings. For his teaching and students achievements, he received the highest award in Croatia from Education and Teacher Training Agency, a part of Institute of education of the Republic of Croatia, for excellence in working with students in academic year 2010/2011 and 2014/2015. In last eight years he is a member of jury in various guitar competitions (Zagreb Guitar Festival, Festival Internacional de Guitarra Guimaraes, Omiš Guitar Fest, Enrico Mercatali Gorizia, Tremolo Skopje, Sarajevo International Guitar Festival, Guitar Art Beograd, Porečki Tirando, Pula Guitar Fest, Sonus Križevci...) and is active as a lecturer and masterclass teacher. He is also a Vicepresident of Classical guitarists’ Association „Allegro“ Koprivnica. 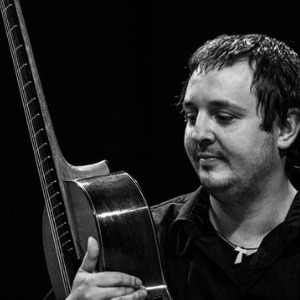 „Allegro“ has many projects from organizing concerts and masterclasses, but the main project is „Summer guitar school Koprivnica“ where he is Artistic director and main lecturer since 2011. From 2016 he is acting as Zagreb Guitar Festival competition coordinator. From 2017 he is acting as EuroStrings Competition Coordinator.